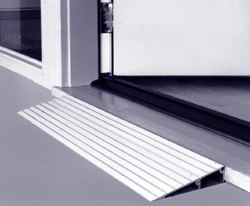 A threshold ramp is used to bridge the barriers that doorways, sliding doors, and raised landings pose to smooth travel for your mobility scooter or power wheelchair. 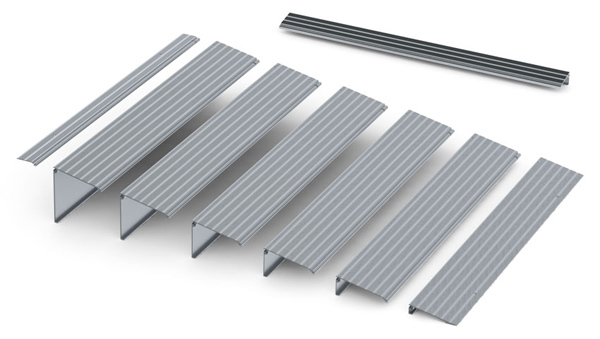 Threshold ramps are chosen based on their height. This threshold ramp is made of aluminum, has no seams, and can be used inside and outside. Easy installation and weather resistant for outside use. This is the cheapest and easiest solution for smoothing out the way outside. Changing out a threshold can be much more work, expensive, and time consuming.